Music: PI Tchaikovsky (swan lake), Koichi Koyama (lost child of Aozo) Piano: Keiko Odagiri (Lost child of Aoyagi) ※ "Swan Lake" uses a special recording sound source. 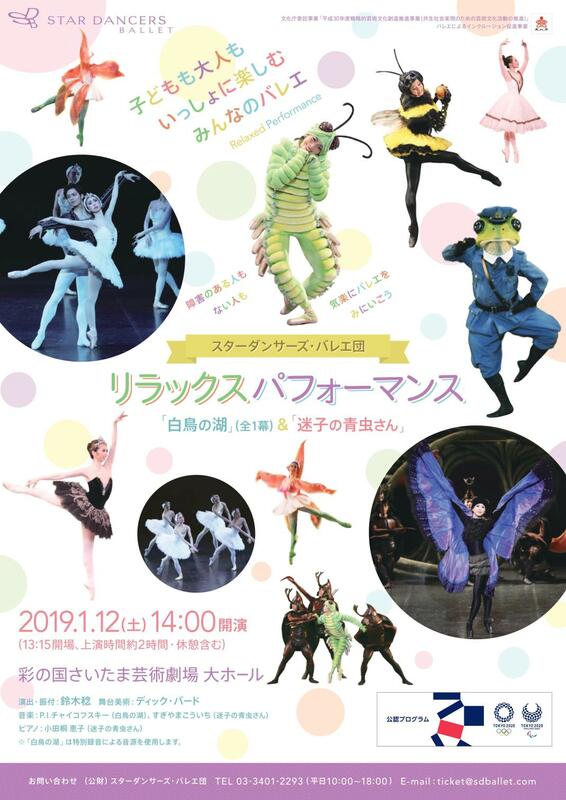 Everyone's ballet enjoying children and adults together ■ What is relaxing performance? Relaxing performance is a form of performance arranged for those who are concerned about appreciation in theater space. In a relaxed atmosphere a little more than a normal ballet performance, those who need ballet appreciation for the first time or those who need little support due to autism or ADHD symptoms, relax and enjoy enjoying I will. Of course, "Theater theaters are a bit cramped" and "Visitors wanting to see ballet more comfortably" are welcome. We will present the contents of the performed work as it is, with special specifications for relaxing performance. · Secure a passage that can be taken out of the audience seating when the break is needed even during the performance · We do not make the lights of the audience completely dark · Scenes suddenly producing loud noises take into account the sound volume · We will endeavor to create an environment where everyone can appreciate it even if it is not completely silent · Reduce anxiety about family members and accompanying persons by providing information in advance at special site Site Requests to visitors · this performance Is to relax and appreciate the appreciation manners expected in regular ballet performances. We appreciate your understanding that customer's movement and roughness and some speech are expected during performance.